High in B vitamins including folate and B12, vitamins A and D and iron, liver is a legit super food. Liver pate is a delicious and easy way to enjoy the health benefits of liver. One pound of chicken liver makes 3 pates, with 16 servings of liver. If you’re noticing that you are low on energy, or you’re feeding an infant, try liver pate and see how you feel! Deficiencies of b vitamins and iron are common, especially for women of childbearing age and young children. Deficits in these nutrients often shows up as low energy in adults and slow growth in children. For those who didn’t grow up eating liver, it is an acquired taste, but the health benefits make it worth acquiring. After a decade of including liver in my diet, I can now say that I actually crave it. You’ll find me making this chicken liver pate about once a month, and throwing liver in with muscle meat when I make chicken tenders as well. 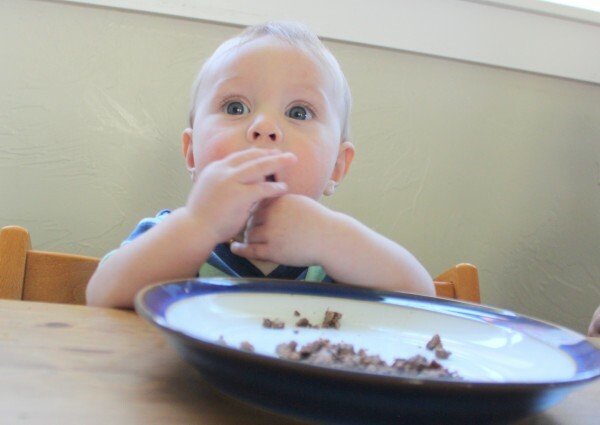 Surprisingly, many babies enjoy liver! I offer organic free range chicken and beef liver, cooked and salted with sea salt as a first food. Liver is the first solid food that I give my babies, much to their enjoyment. It may be a coincidence, but the baby pictured to the left was solidly under the 10th percentile until 6 months old, when he started eating liver. From there, he rapidly grew, and now at 5 years old he’s in the 50th percentile for both weight and height. Surprisingly, babies love liver! 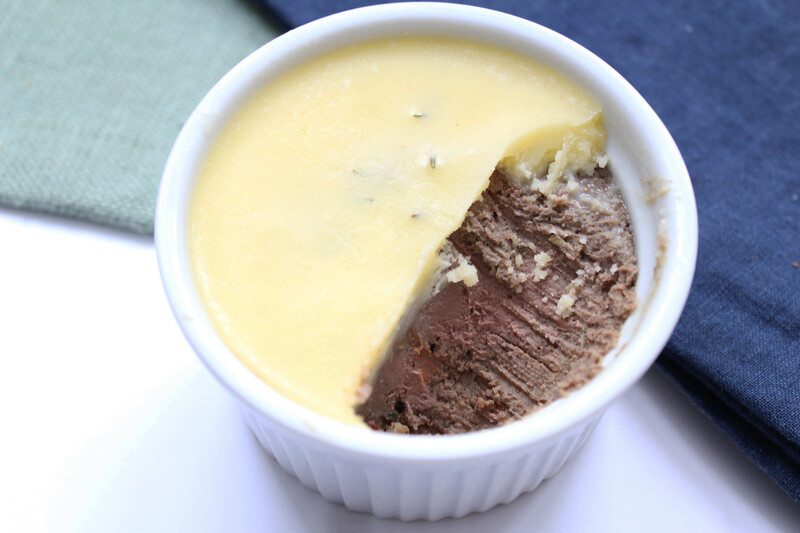 This pate, with or without the butter, is another delicious soft way to serve babies liver. Want to see what else I give my babies? These are recommended first foods for good gut health, growth, and brain development. 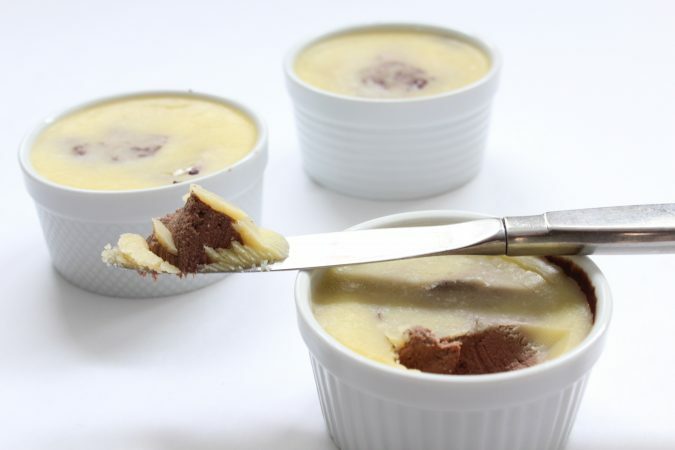 Chicken Liver Pate is a food enjoyed by many. The low cost of liver (find chicken liver here) and ease of this recipe ensures that this gourmet nutrient-dense treat has a place in homes of any economic status. If you are new to the taste of liver, include lots of garlic as it helps cover the taste well. How do you eat liver pate? Liver pate is best eaten at room temperature, but it is good out of the fridge as well. It can be eaten many different ways, and is traditionally served as an appetizer or nutrient-dense snack. Added to any savory dish (see pork rind nachos to the right) for an extra nutrient boost. I like to buy my liver at US Wellness Meats. They have a variety of beef (highest in iron and B vitamins), lamb, and mild-tasting chicken liver. Chicken liver is packed with nutrients, and is a great place to start! Liver pate is a great way eat liver. Of course, you can also fry it in butter and enjoy plain, but pate is a more-mild transition food. 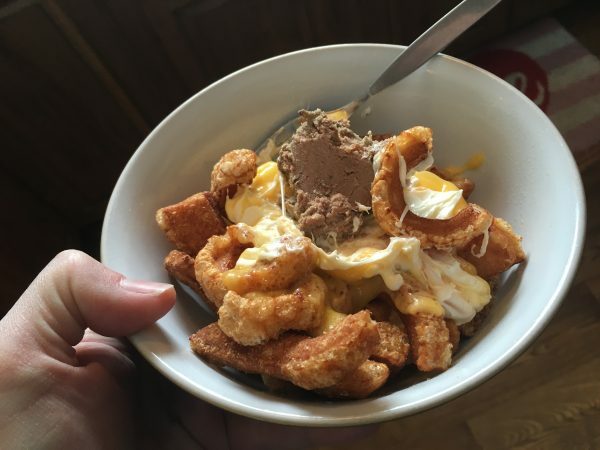 Spread it on steak, eat with cheese ‘crackers’ or dip pork rinds into it. Soak Liver: Place in a bowl. Cover with the juice of one lemon (optional) and filtered water until the liver is completely covered. Cover bowl with lid or plastic wrap and return to the fridge. Soak at least 2 hours or overnight. Drain. Make Pate: Over medium heat in a large saucepan, heat butter until melted, then add garlic and thyme, cook for a minute or two. Remove from heat and pour this into food processor. Using the remaining two tablespoons of butter, melt over medium heat. Add liver and cook until the outside is done, but the inside is still pink. To food processor add: Anchovies, nutmeg, allspice, & red pepper flakes. Process until well pureed and all of the ingredients are well combined. Scoop pate into ramekins and then top with additional melted butter if desired. Cover with plastic wrap and chill for 4 hours to firm up. *Some people make pate in jars and just screw on the lid to cover. Liver pate is a great way eat liver. Of course, you can also fry liver in butter and enjoy plain, but pate is a more-mild transition food. 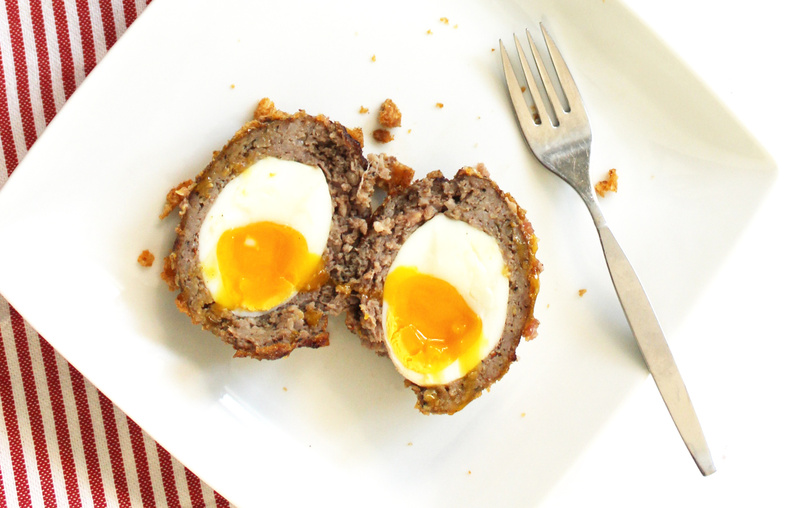 Spread it on steak, eat with cheese ‘crackers’ or dip pork rinds into it. Zero-Carb notes: Omit onion and spices if desired. 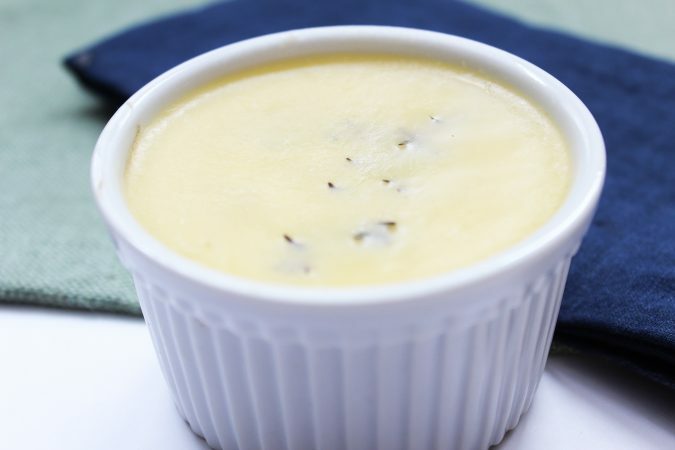 Dairy notes: Ghee (recipe here) or tallow can be used in place of the butter. If using ghee or tallow, add a pinch or two of sea salt.